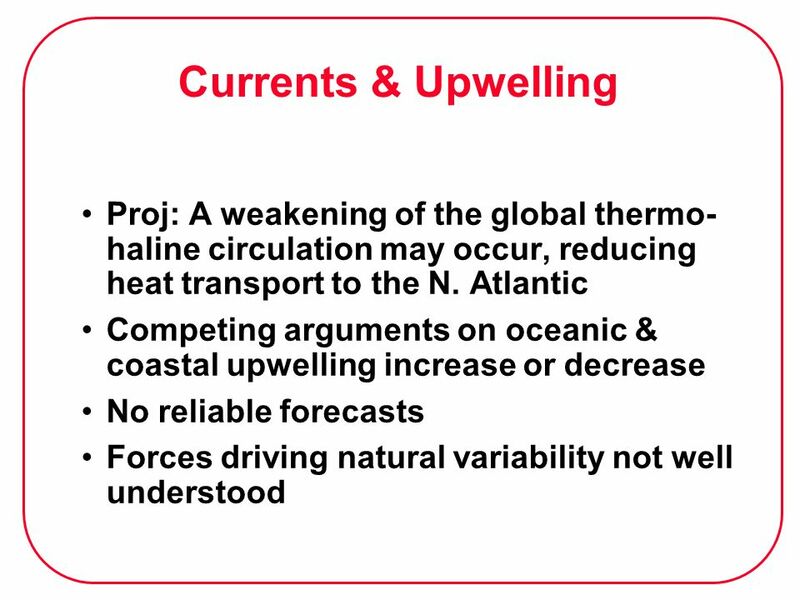 12 Currents & Upwelling Proj: A weakening of the global thermo-haline circulation may occur, reducing heat transport to the N. Atlantic Competing arguments on oceanic & coastal upwelling increase or decrease No reliable forecasts Forces driving natural variability not well understood Currents and upwelling. Freshwater influx from the movements and melting of sea ice or ice sheets may lead to a weakening of the global thermohaline circulation, leading to cooling in the North Atlantic and possibly causing unpredictable instabilities in the climate system. 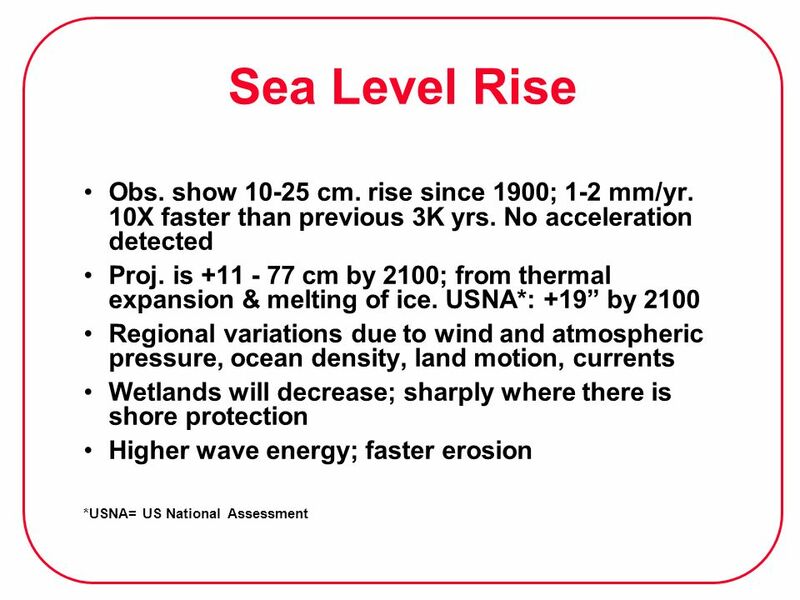 There are competing arguments as to whether oceanic and coastal upwelling would increase or decrease. 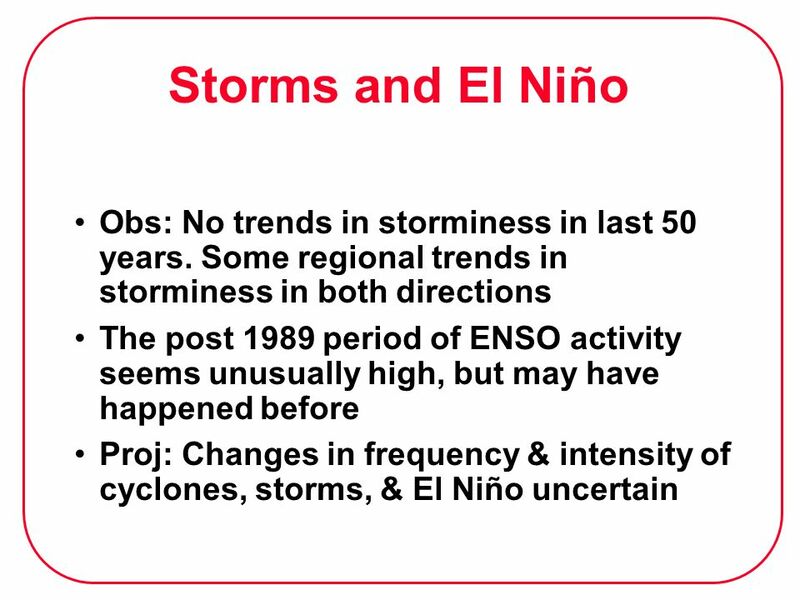 In any case, there is no ability to make reliable forecasts at the regional scale which governs the upwelling systems. 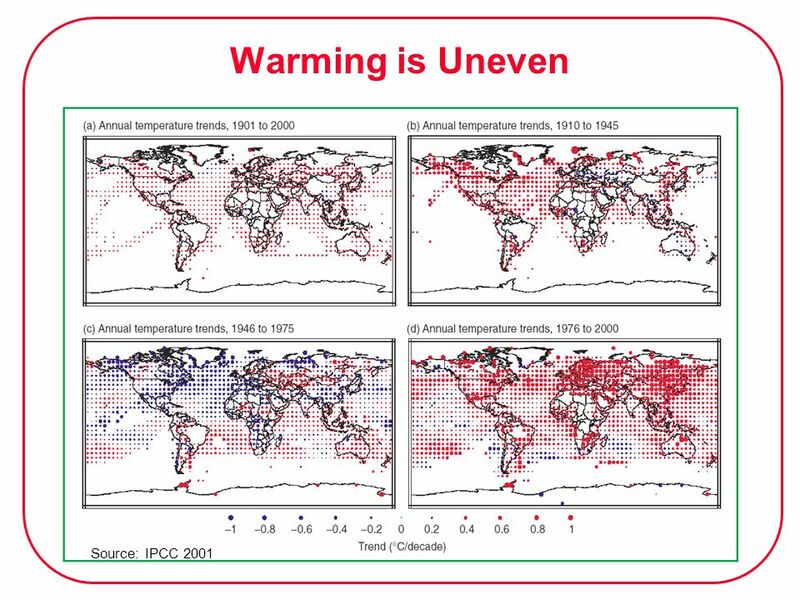 Forces leading the oceans to vary in temperature and currents on decadal scales of natural variability are not well understood and are not well modelled. 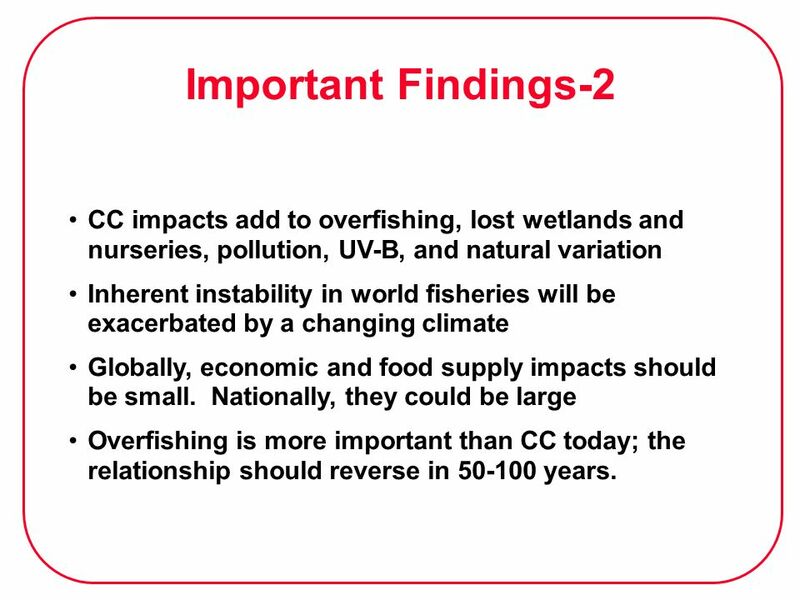 27 Important Findings-2 CC impacts add to overfishing, lost wetlands and nurseries, pollution, UV-B, and natural variation Inherent instability in world fisheries will be exacerbated by a changing climate Globally, economic and food supply impacts should be small. 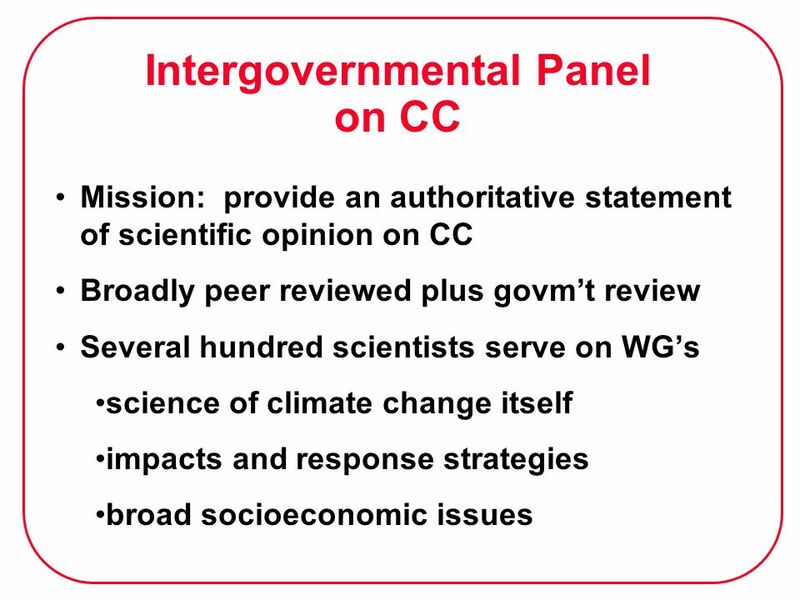 Nationally, they could be large Overfishing is more important than CC today; the relationship should reverse in years. 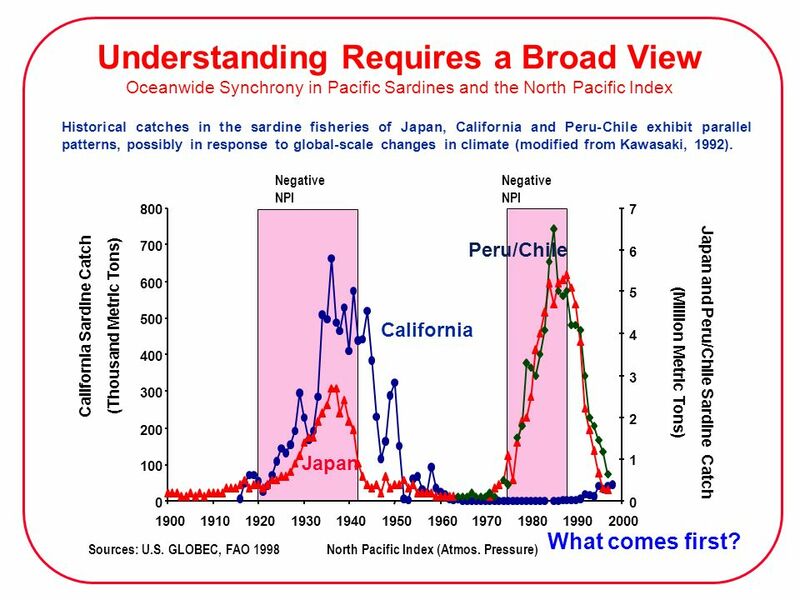 While overfishing has a greater effect on fish stocks than climate change today, progress is being made on the overfishing problem. 1. 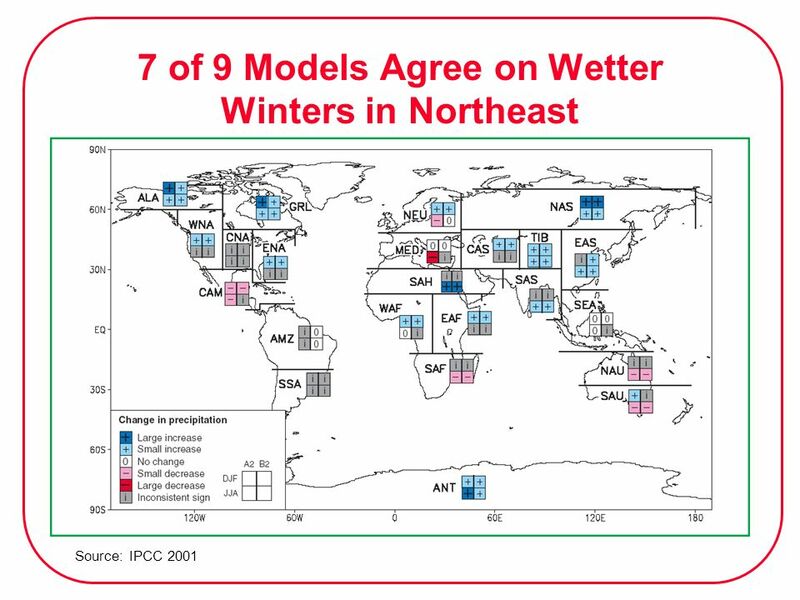 Small rivers and lakes, in areas of higher temperatures and less rain 2. 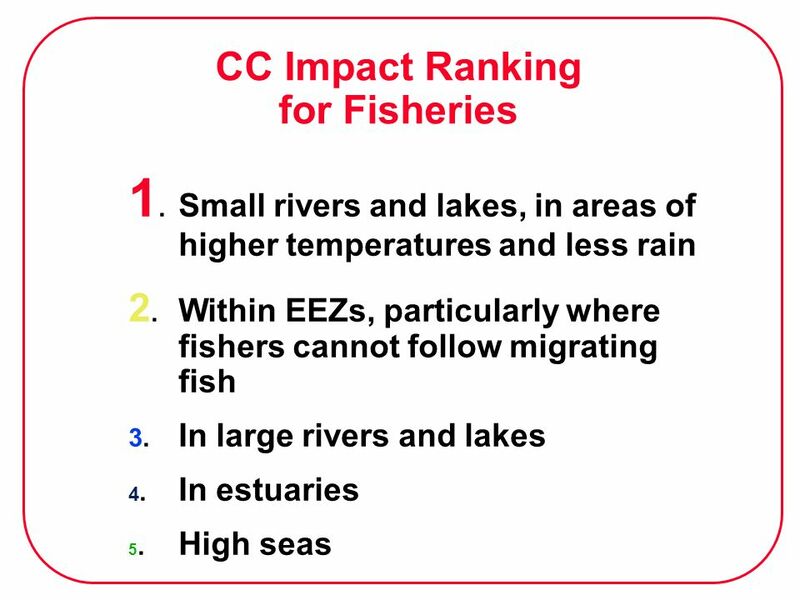 Within EEZs, particularly where fishers cannot follow migrating fish 3. In large rivers and lakes 4. In estuaries 5. High seas An impact ranking can be constructed. 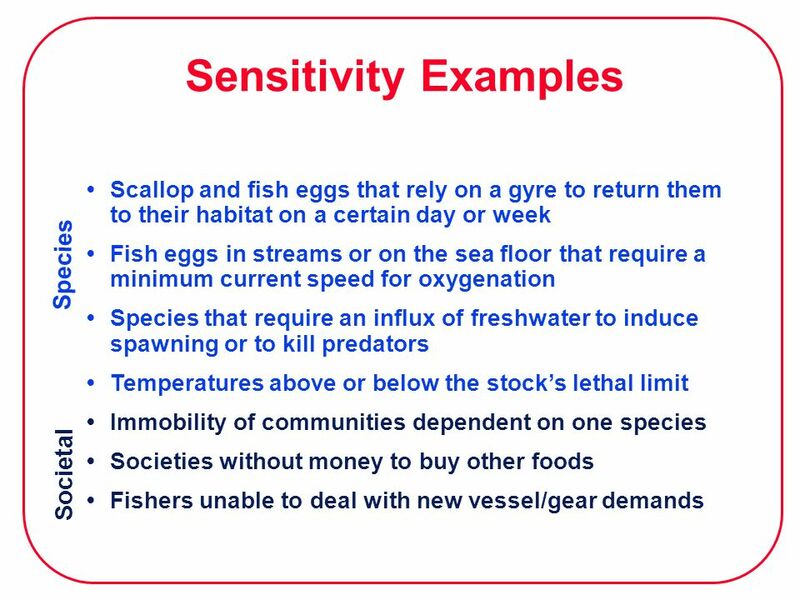 The following categories are listed in descending order of sensitivity, positive or negative, to climate change [medium confidence]. 1. Freshwater fisheries in small rivers and lakes, in regions with larger temperature and precipitation change; 2. Fisheries within Exclusive Economic Zones, particularly where access regulation mechanisms artificially reduce the mobility of fishing groups and fleets and their capacity to adjust to fluctuations in stock distribution and abundance; 3. 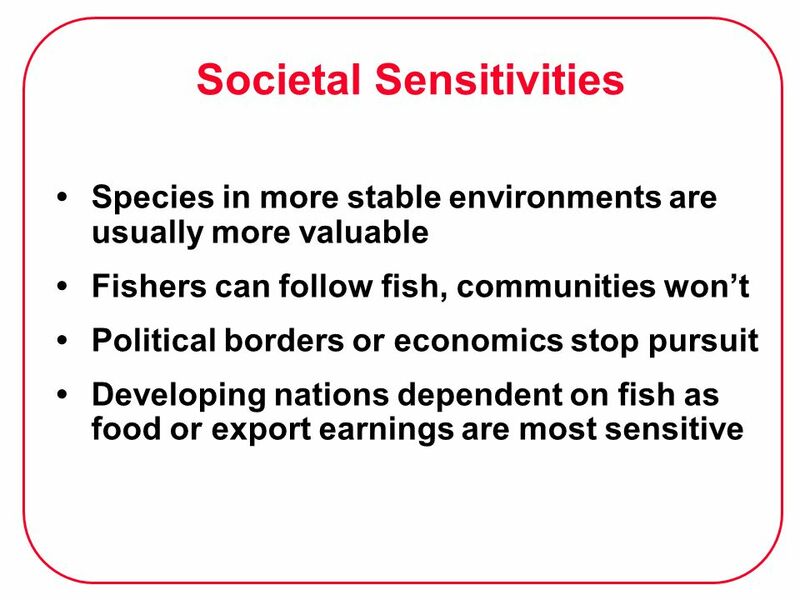 Fisheries in large rivers and lakes; 4. 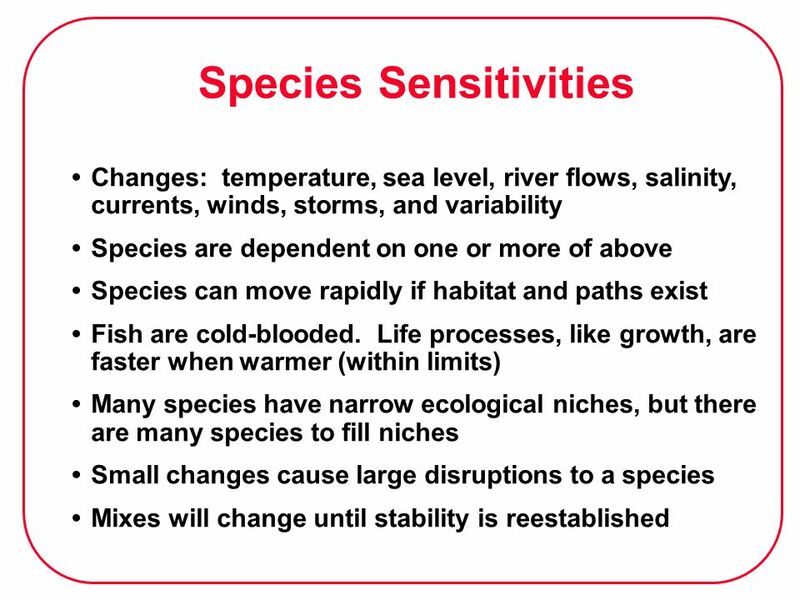 Fisheries in estuaries, particularly where there are species without migration or spawn dispersal paths, or estuaries impacted by sea level rise or by decreased river flow; 5. High seas fisheries. 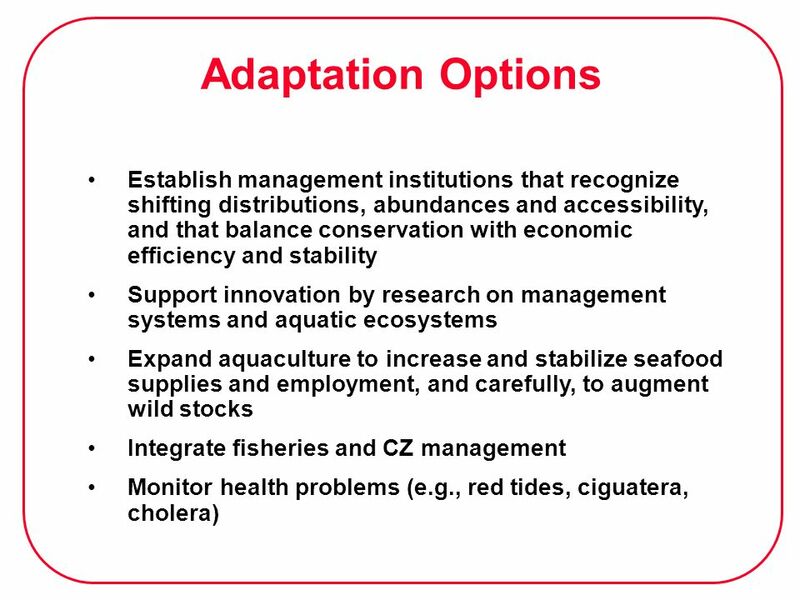 29 Adaptation Options Establish management institutions that recognize shifting distributions, abundances and accessibility, and that balance conservation with economic efficiency and stability Support innovation by research on management systems and aquatic ecosystems Expand aquaculture to increase and stabilize seafood supplies and employment, and carefully, to augment wild stocks Integrate fisheries and CZ management Monitor health problems (e.g., red tides, ciguatera, cholera) - Design and implement national and international fishery management institutions that recognize shifting species ranges, accessibility, and abundances and that balance species conservation with local needs for economic efficiency and stability. - Support innovation by research on management systems and aquatic ecosystems; - Expand aquaculture to increase and stabilize seafood supplies, to help stabilize employment, and carefully, to augment wild stocks; - In coastal areas, integrate the management of fisheries with other uses of coastal zones; - Monitor health problems (e.g., red tides, ciguatera, cholera) that could increase under climate change and harm fish stocks and consumers. Action Now that the documents are being distributed, it is time to turn to the action recommendations. For this Congress, I would argue for addressing only the first. I believe it is the most important. 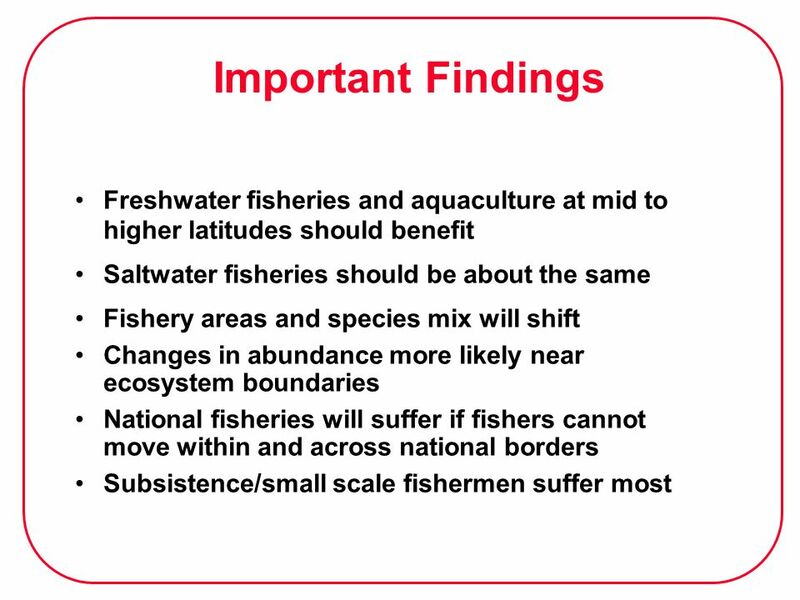 This recommendation, in bold above, seeks to build into resource management regimes the concept that fish abundances and distributions will change over time as a consequence of climate change and also that resource productivity and industrial capacity should be in balance. THIS APPROACH IS NEEDED NOW! Perhaps climate change awareness can serve as a vehicle to bring this essential message to the attention of political leaders and fishery managers. 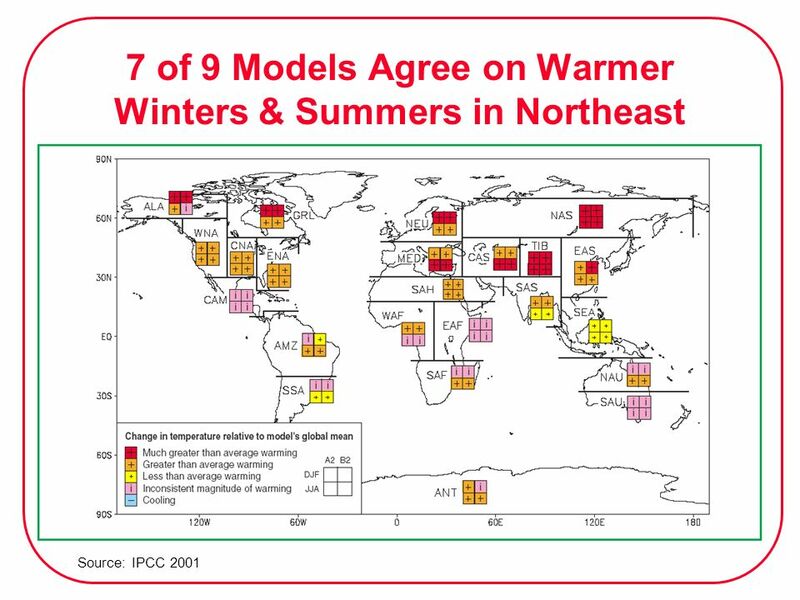 The natural variability in regional climate, that sometimes takes places over decades, represents greater (or as great) changes as will come with climate change. The only difference may be the permanance of the changes. If we can adapt our institutions to deal with climate change, we will have addressed the natural variability issues that plague many existing institutions and the industries they regulate. 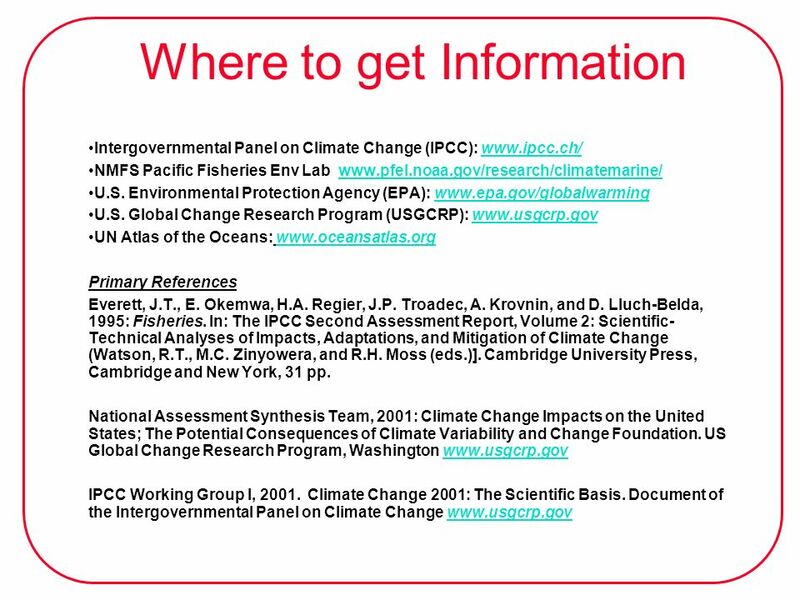 Download ppt "Oceans and Climate Change: What We Think We Know"
What? 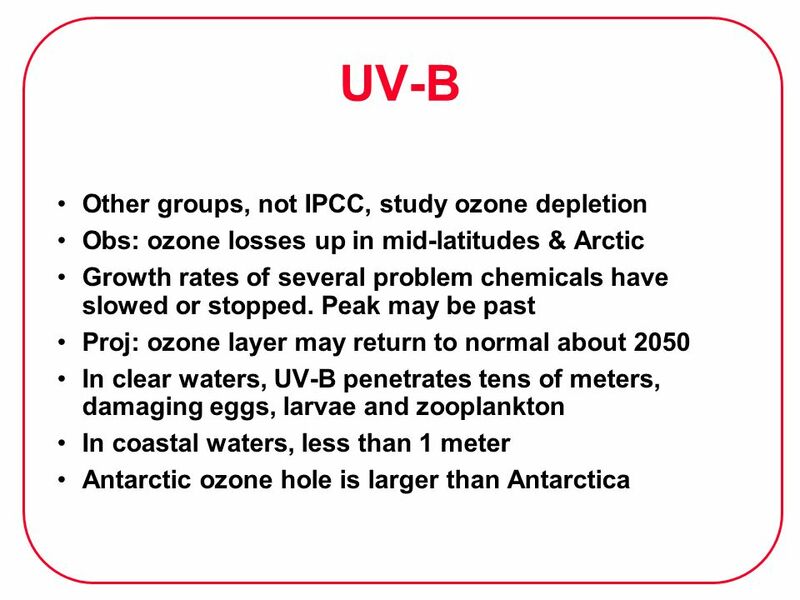 Remote, actively researched, monitored, measured, has a huge impact on global climate and is relatively cool? 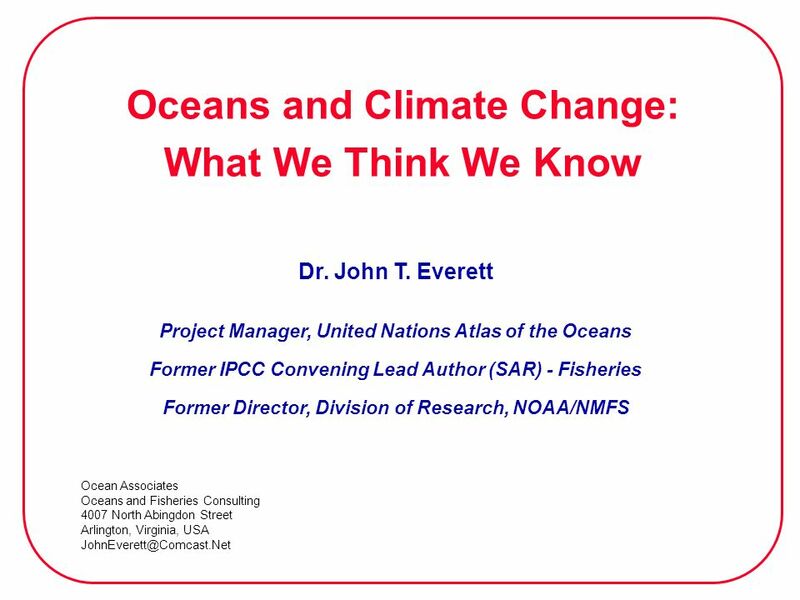 Fisheries and Climate Change Dr. John T. Everett National Marine Fisheries Service National Oceanic and Atmospheric Administration United States Department. 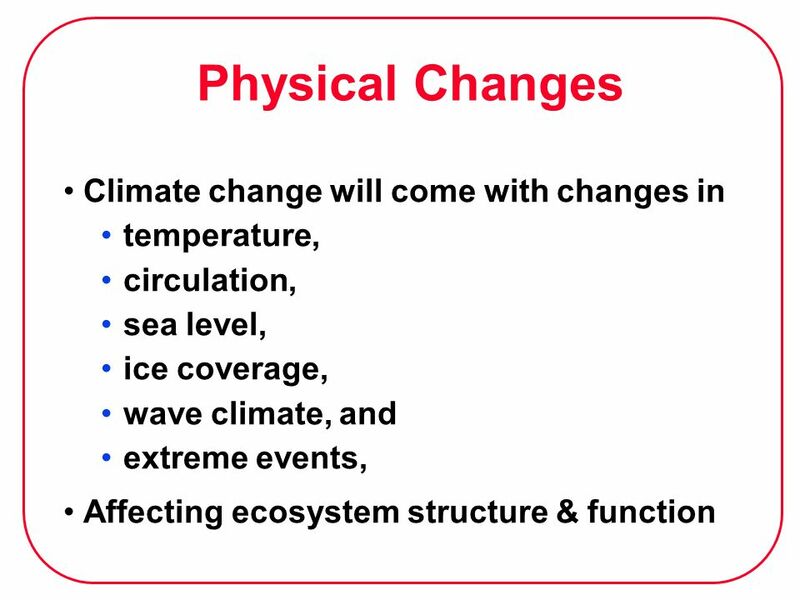 LESSONS IN CLIMATE CHANGE PROJECTIONS AND ADAPTATION: From One Living Resource To Another Dr. John T. Everett and Dr. H. Suzanne Bolton National Marine. 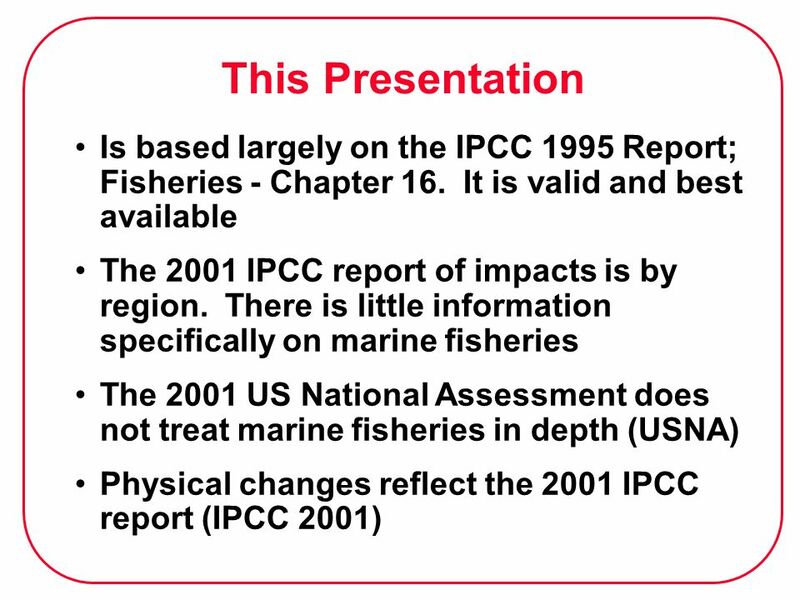 Fisheries and Climate Change: the IPCC Second Assessment Dr. John T. Everett IPCC Convening Lead Author - Fisheries National Marine Fisheries Service National. 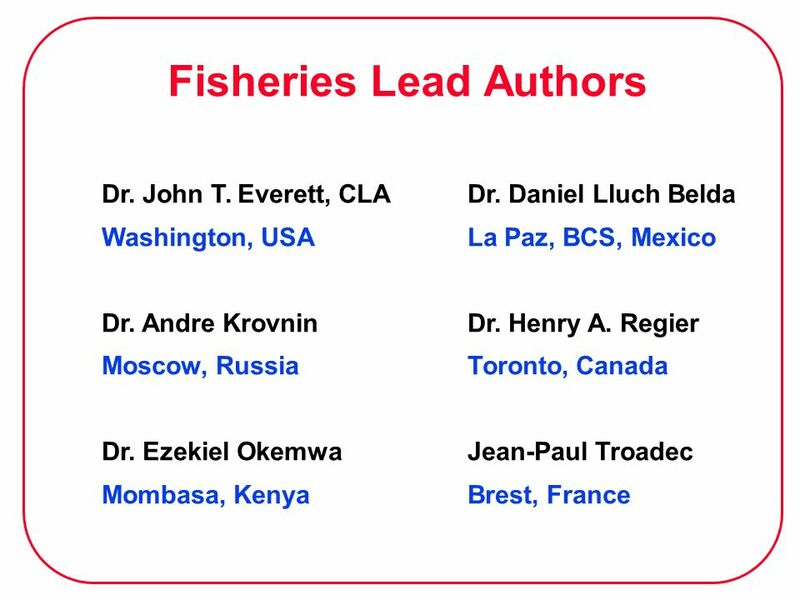 Oceans and Fisheries Dr. John T. Everett National Marine Fisheries Service National Oceanic and Atmospheric Administration United States Department of. 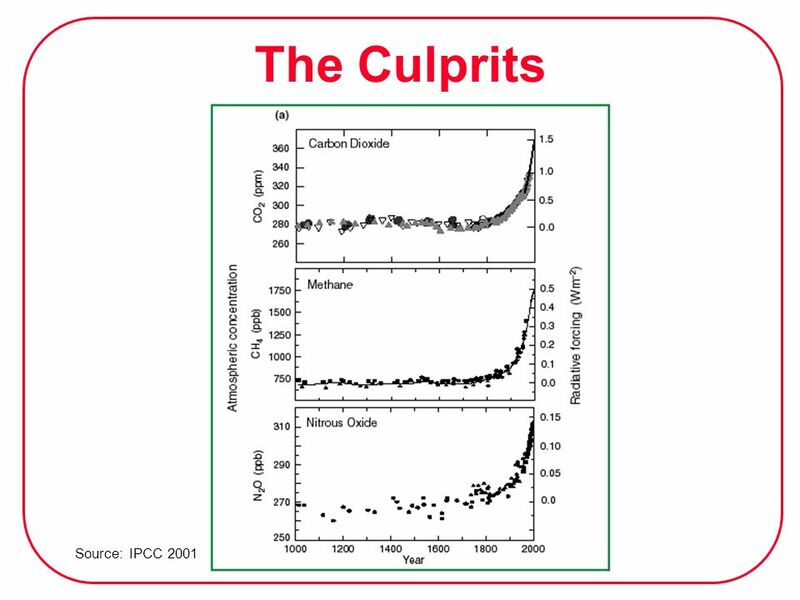 Greenhouse Gases and Climate Change: Global Changes and Local Impacts Anthony J. Broccoli Director, Center for Environmental Prediction Department of Environmental. El Niño. 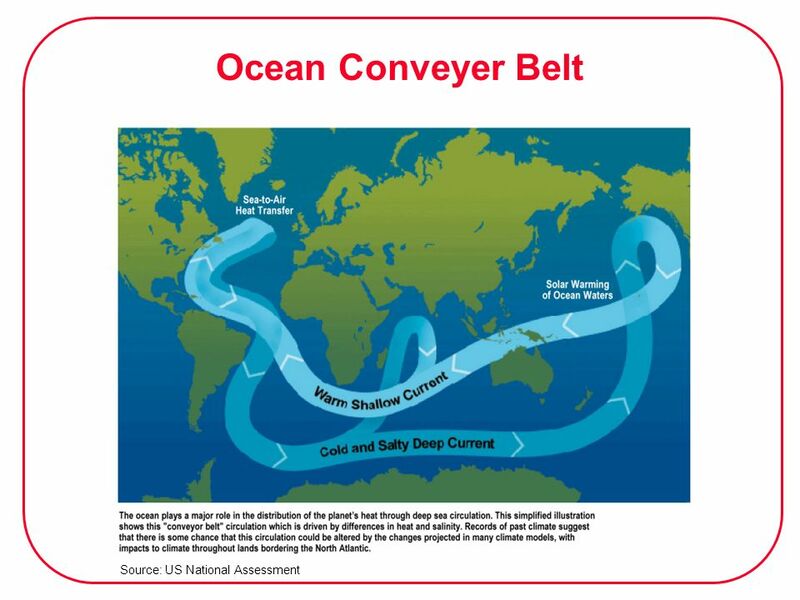 How do ocean currents affect weather and climate? Oceans store and transport heat. 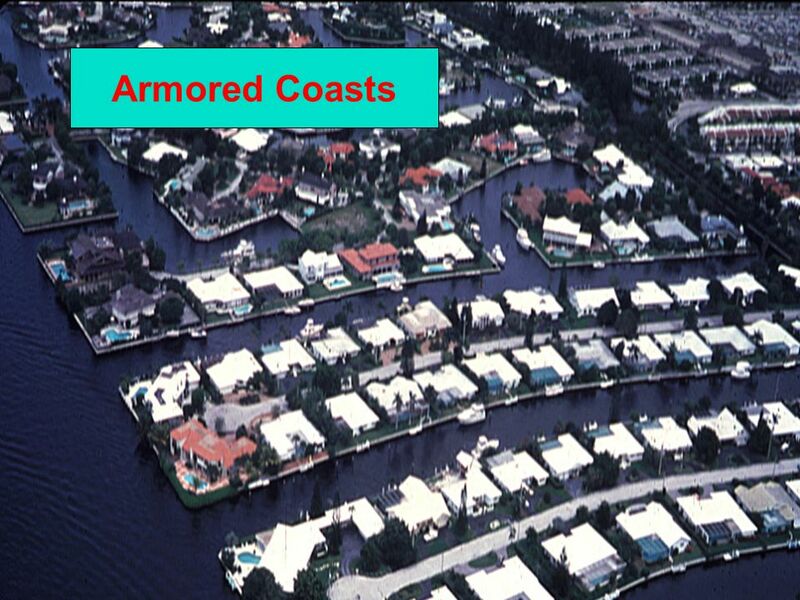 – High heat capacity – Stores and transports energy from the. CLIMATE CHANGE IMPACTS ON THE PRAIRIE Mandy Guinn, Kerry Hartman, Jen Janecek-Hartman. 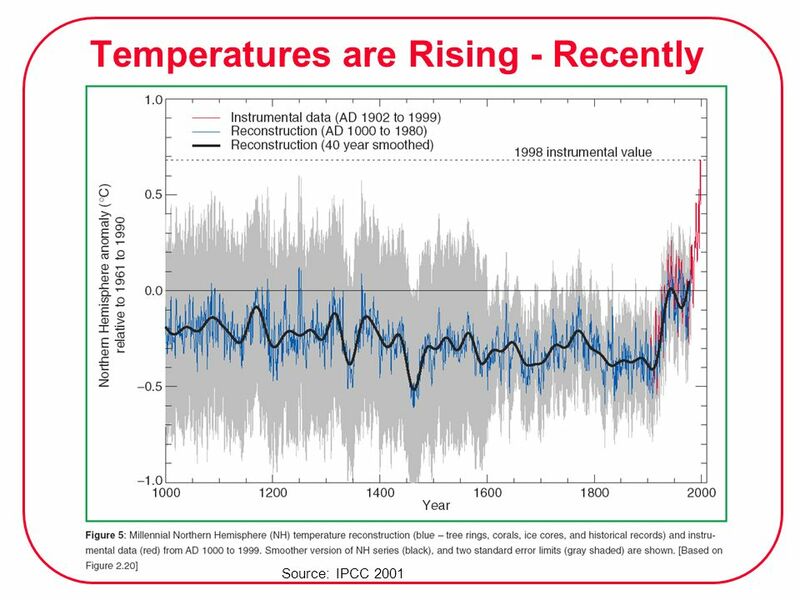 1 Climate Change Science Kathryn Parker U.S. Environmental Protection Agency Rocky Mountain National Park March 21, 2007 July 1932July 1988 Glacier National. 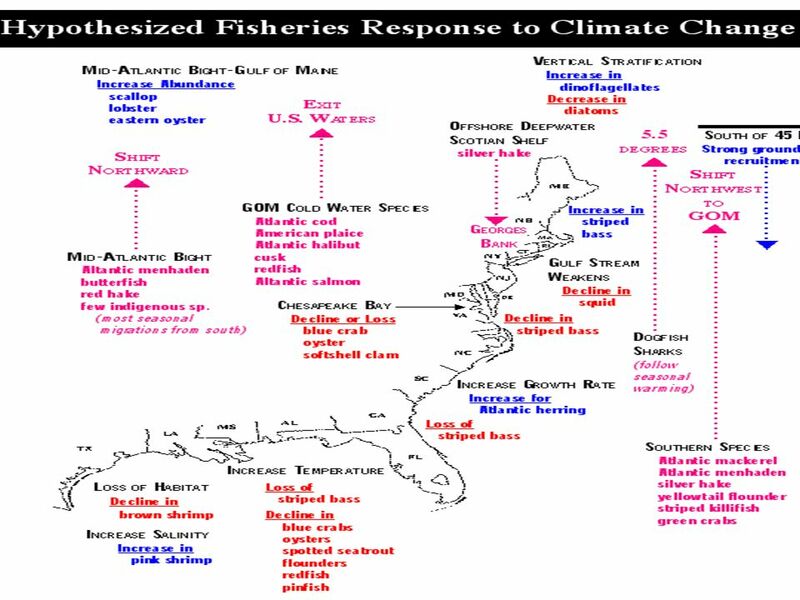 How is Climate Change Expected to Impact Fisheries How is Climate Change Expected to Impact Fisheries Neil A. Bellefontaine Neil A. Bellefontaine World. Assessment of Vulnerability to Climate Change and Human Rights Presentation by Renate Christ, Secretary of the IPCC Geneva, 22 October 2008. 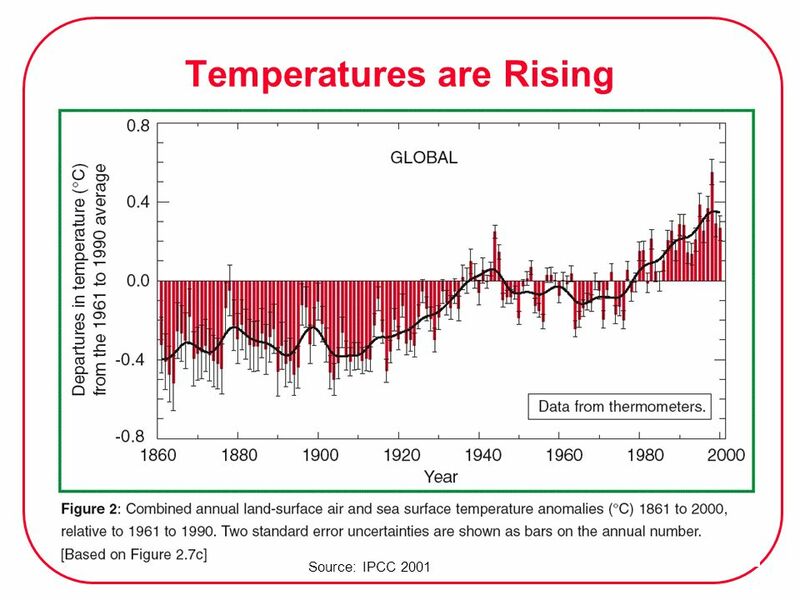 The Science Behind The Climate Change Issue Henry Hengeveld Meteorological Service of Canada Environment Canada. 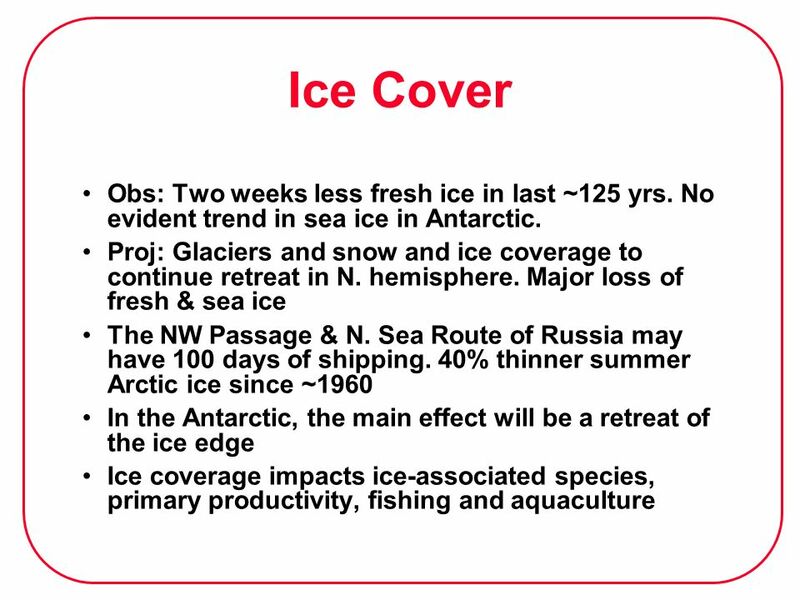 1.Sea Ice and Snow cover -Evidences As they melt mountain glaciers leave behind the an altered landscape with low albedo. a. shrinking glacial are around. 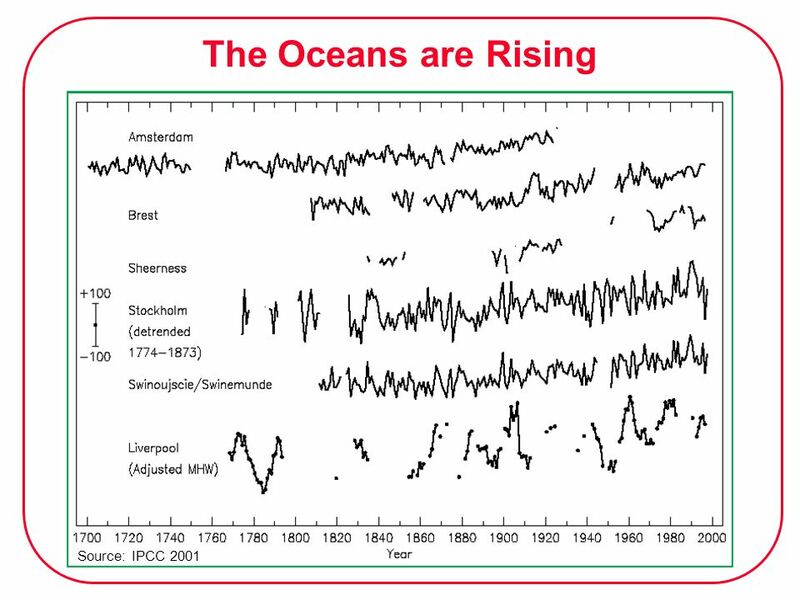 The Ocean’s Role in Climate Change. Responding to the Kyoto Protocol Climate Change Action Fund (CCAF) Initiatives Reduce greenhouse gas emissions. Reduce. 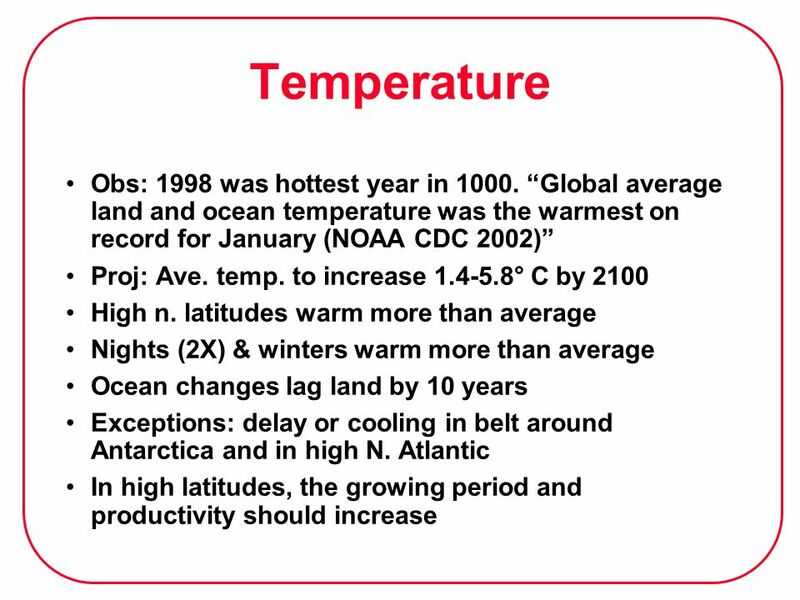 1 Lecture 16 Potential Impacts of Global Warming. 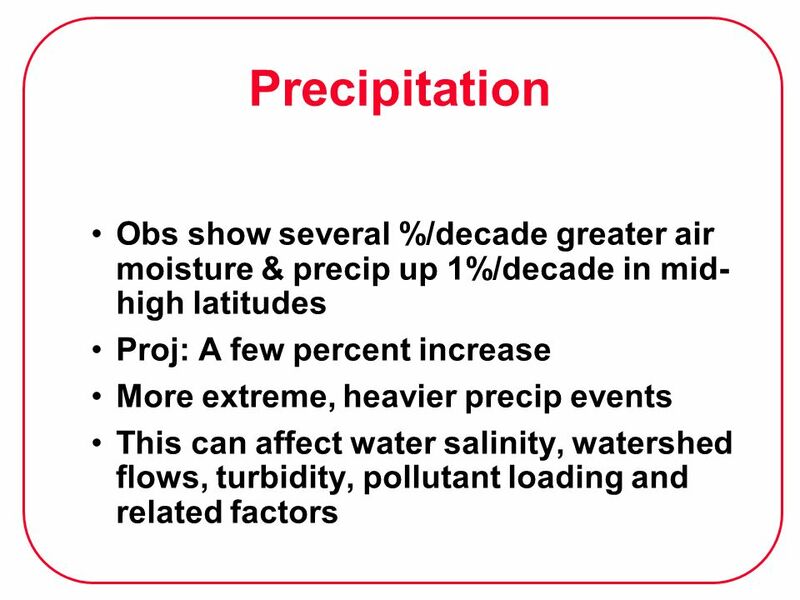 Details for Today: DATE:14 th April 2005 BY:Mark Cresswell FOLLOWED BY:NOTHING Impacts: Extreme Weather 69EG3137 – Impacts & Models of Climate Change.